It’s a gift, really — when you unpack your purchase and reach for the “Instruction” sheet (because I am a girl and that’s what we do) and you suddenly stumble into a United Nations of mis-translations and awkward English and the resulting delightful cacophony of words. This came in the fillable lamp base I picked up at our local Tuesday Morning. I especially love the courtesy of the “please” in Instruction No. 1 and the slightly forceful directive to “enjoy your lamp” in No. 5 — as if maybe if I didn’t, somebody would come over and make sure that I did. Then there’s the “put stuff inside of glass” in No. 3 — I imagine here that the author had spent hours searching for the correct term for “stuff” and then simply gave up in exhaustion and thought “Well, it’s ‘stuff,’ so let’s just say ‘stuff’.” And I only recently learned that “sea star” is another name for starfish and I think it’s a much prettier and more accurate name since they are, in fact, not fish at all. (Also they are endangered — like so many other cool ocean things.) And, of course, there’s the most elegant phrase of all: “Screw tightly the metal cap,” in Instruction No. 4. I’m going to talk like this all day today — “Get quickly out of my way, you idiot driver, you.” — and see if it helps any. 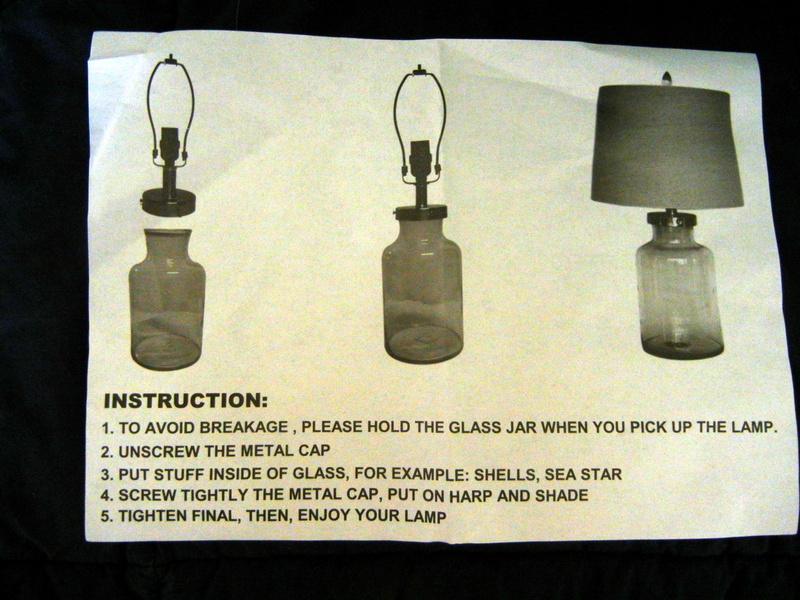 Naturally, however, this “instruction” didn’t do me any good because immediately after putting stuff inside the glass and screwing tightly the metal cap and before preparing to enjoy my lamp, I disregarded the vital Instruction No. 1 and proceeded to pick up the lamp by the metal cap. 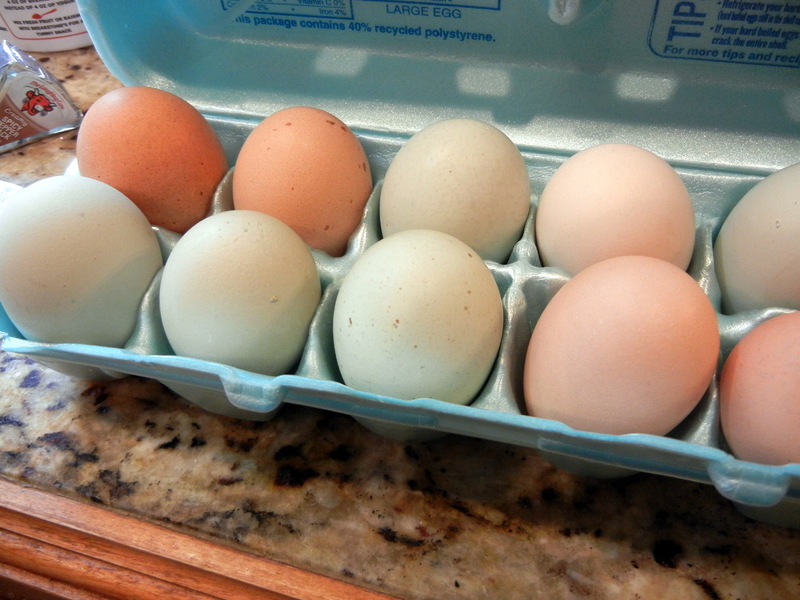 Luckily, I did avoid breakage and quickly regrouped as advised. This guy sure knew what he was talking about. 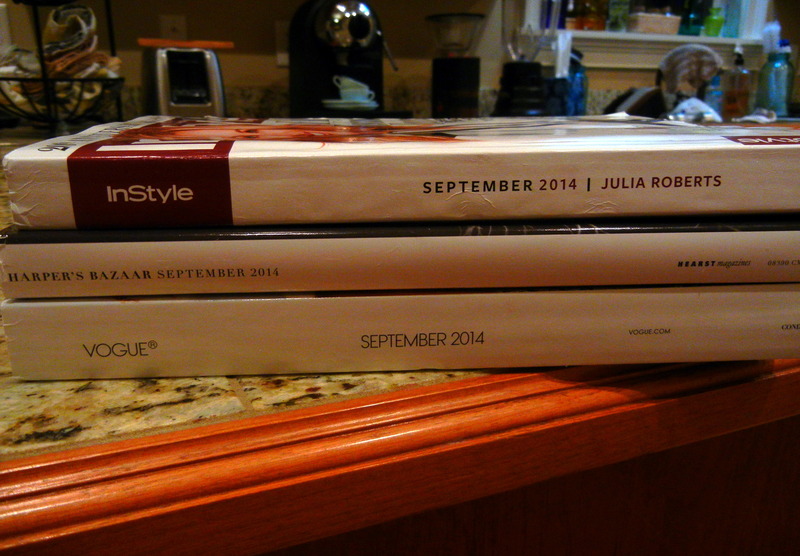 Well, hello again, blogosphere! Have you missed me? I have missed you these past few days weeks months that I’ve been too lazy too undermotivated too incredibly busy doing really important stuff to sit down and write. Which is not a good thing for a (sometimes) writer. So today is the day I get back to it. Coincidentally, today also is the day I will a) start a healthy eating plan and lose 10 pounds, b) clean out and organize the attic AND garage and c) go visit in actual person the friends I’ve been meaning to catch up with for the past few days weeks months. Or I could stay home and watch the SEC Network and reruns of Castle. Hmm … so many choices. Truthfully, I should have just gone back to bed after my unfortunate attempt to make coffee this morning before I’d had, you know, some coffee. I understand now why the first step in “How to Grind Coffee Beans in Your New Bodum Bistro Electric Burr Coffee Grinder” is “Place ground-coffee glass container securely under coffee-bean release.” The learning already is starting today. Stay tuned!